Find out how you can integrate WhatsApp on your website, to allow your visitors to contact you and start chatting with just a click. 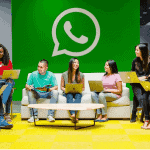 WhatsApp is the most widely used direct messaging app ever, and more and more companies, both offline and online, are realizing the need to integrate this channel into their business. Being present and reachable via WhatsApp means providing instant communication to customers, with a significant impact on the customer experience. Furthermore, providing an immediate communication channel avoids that the customer looks for the same product or service from a competitor. How can you integrate WhatsApp on my website? The function that allows you to integrate WhatsApp on your website in just a few clicks is called “click-to-chat”. 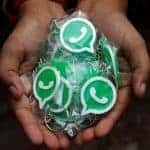 Thanks to this feature, which uses WhatsApp’s APIs, you site visitors will be able open a new chat on the app directly on your WhatsApp Business page or, if you don’t have one, on your phone number WhatsApp page. In this way, the user will not have to do anything else but start the conversation (the user gives you his opt-in through this action). 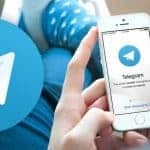 What are the ways to integrate a WhatsApp click-to-chat button on the website? Let’s start with the most “technical” solution (it’s actually very easy). This solution allows us to integrate the click-to-chat link in any part of the website. In fact, you will just have to add your personalized link to an image, a button or any call-to-action in order to allow WhatsApp to open to your users. N.B . : just remember to remove the + that you find before the country code. A chat widget is the ideal solution to integrate a WhatsApp button on your website, similarly to any other Live Chat support solutions that we often find on the web. To do this, you can create a free account on Callbell and create your own widget in a few clicks and install it on your website via WordPress or Google Tag Manager. 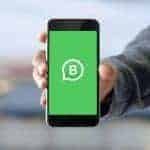 Once this is done, you site visitors will have the opportunity to start a conversation with you on WhatsApp by clicking on the button that will appear on your website’s margin. N.B. 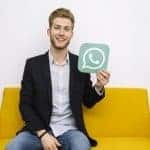 : from Callbell, you can also choose to create a WhatsApp Business page or integrate an existing one and manage your incoming messages directly from the platform, without having to use WhatsApp’s native app. 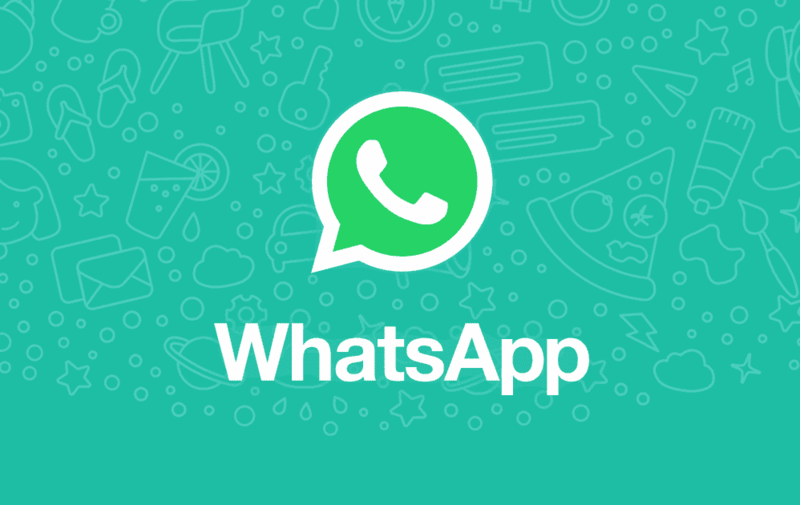 WhatsHelp is an alternative to Callbell, to create a chat widget that allows you to start a chat on WhatsApp. The operation is very similar to Callbell’s procedure: once the widget is created and installed on your website, the WhatsHelp widget will appear in the lower left corner of the browser. WhatsHelp allows you to integrate different channels within the chat widget; this option is only free up to 2 choices, and paid for the more advanced features. We have illustrated here 3 ways in which you can start using WhatsApp to communicate with your customers directly from your website. 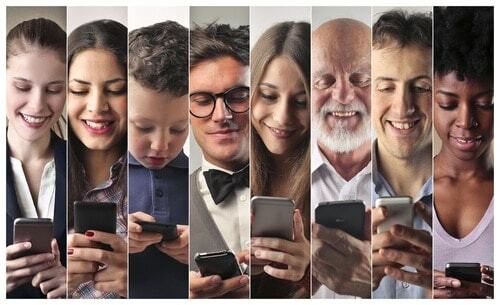 Compared to traditional channels like email or phone number, giving our customers the opportunity to contact us through this channel allows us to provide a unique experience to our customers, both online and offline. Start today to use WhatsApp to communicate with your customers thanks to Callbell, create a free account by clicking here! For any question or support request, you can contact us at: [email protected], write us via chat or leave a comment below. We will get back to you as soon as possible! About the author: Hello! 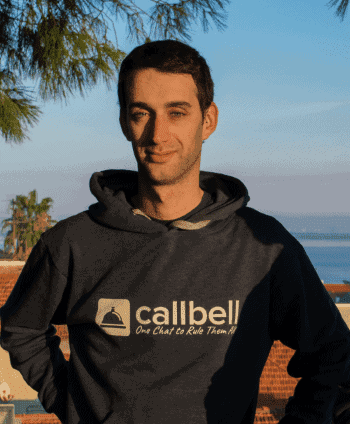 I am Carlo and I am one of the co-founder at Callbell, the Multi-channel Communication Chat platform that allows companies to communicate with their customers through the main direct messaging applications such as WhatsApp, Facebook Messenger, Instagram Direct and Telegram.